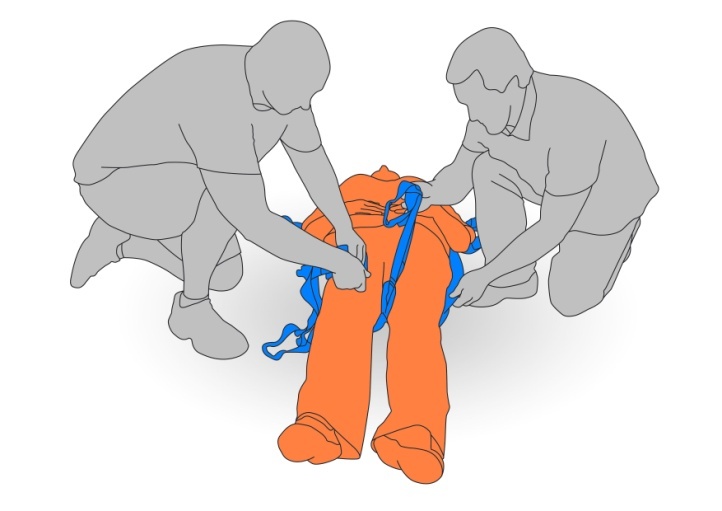 Client injury from pinching skin with sling or from fall from hoist, or hoist malfunction. Muscular, soft-tissue or skeletal injury to worker from incorrect movement or posture. Client or worker injury due to various client behaviours or unexpected forces. b. Check client for signs of injury. 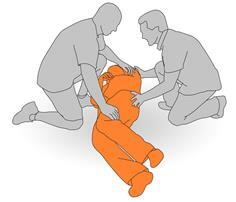 If injured, seek medical assistance and apply first aid. 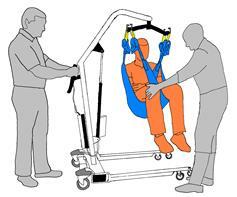 If client injured, do not attempt to move them with the hoist. c. Use a minimum of 2 workers for the task. 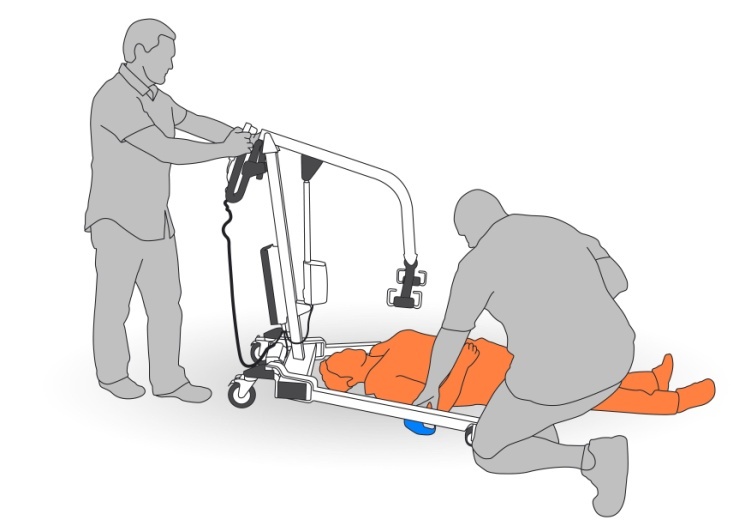 e. Always move in same direction as hoist when walking it, do not twist. f. Only use client's sling, making sure it is clean and is the correct sling for the task. g. Communicate with client and other workers at every step of this task. Check the battery for the hoist is charged and in good condition. If any faults, report immediately and do not use. 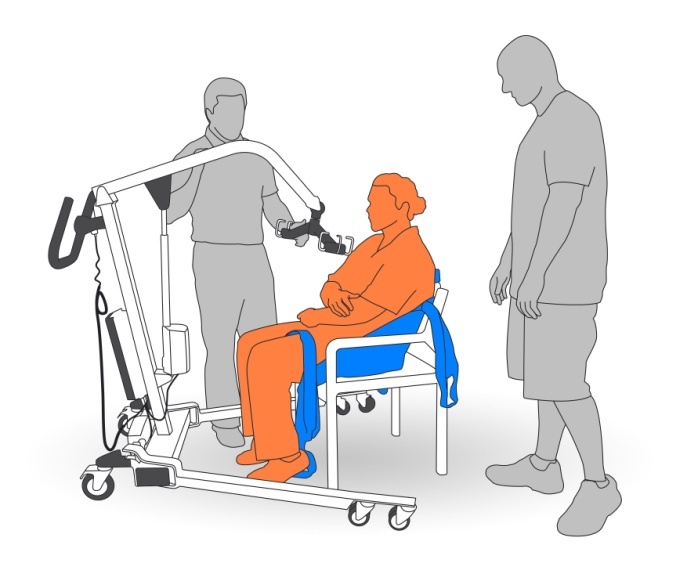 Assist client to roll on to their side and set the sling in place. One worker on each side of client in a half kneel or full kneel position on floor. Workers position hands, using co-ordinated pushing/pulling motion to gently roll client onto their side. One worker to protect client's head from contact with hoist. When hoist in position, apply brakes. Second worker watches and reassures client, assisting as required. When client is clear of floor, make sure the area is free of hazards and move hoist as needed. 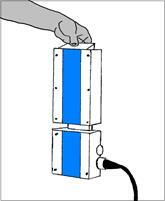 If required use handles on portable hoist to slowly push to new location, move with direction of hoist, do not twist. 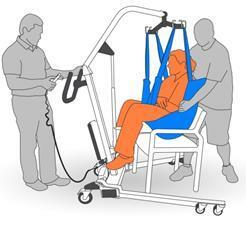 Position client over chair, wheelchair or bed. 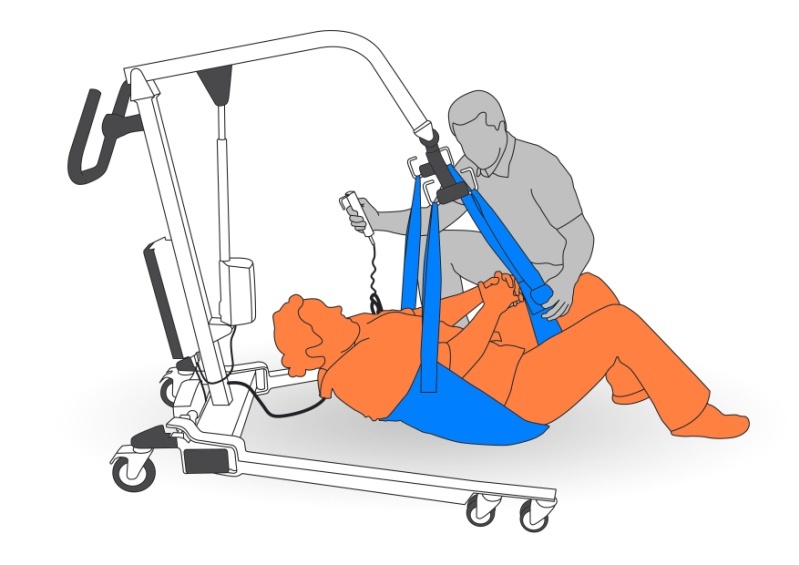 Second worker supports then pivots client in sling, so they are ready to be lowered into the chair/wheel chair/bed. Workers to do task in a controlled and careful manner. 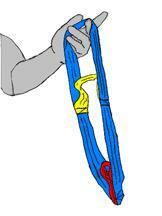 Unhook sling only when it is low enough to be loose and relaxed; keep control of spreader bar to avoid hitting client. Put hoist away, place battery back in charger.